This year’s Exercise and Sports Science Australia conference kicked off in fine fashion, with the opening keynote provided by Dr Michael Joyner from the Mayo Clinic. Mike’s talk was engaging, clear, but also forward-thinking. 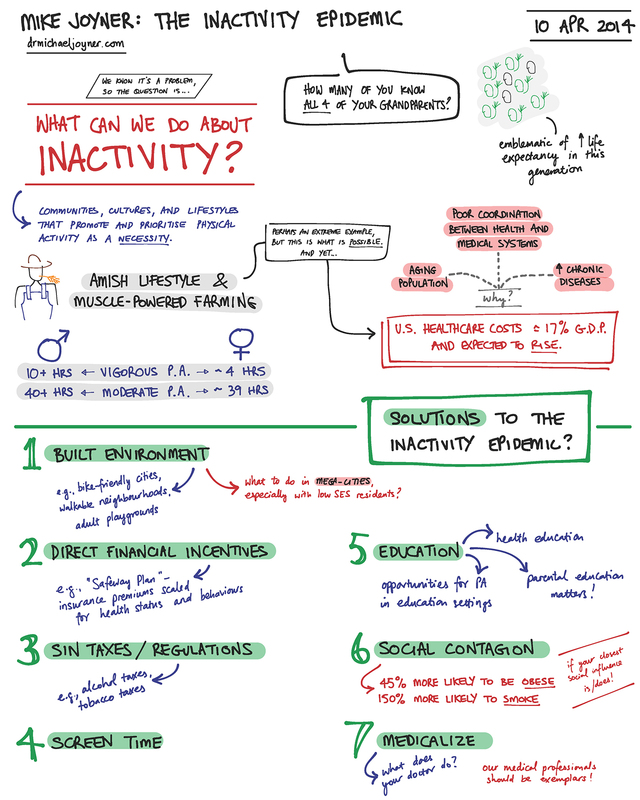 We know that physical inactivity is a problem of epidemic proportions, so what needs to be done is for us all – researchers, clinicians, policy makers, corporations, families, adults and children alike – to put our energies towards solutions. I found it refreshing to hear such a prominent scholar and physician proposing dramatic and large-scale interventions; if we are to reverse the damning inactivity trend, we need to aim high, think big, and integrate our actions across all sectors.